The arrival of the all-new C8 Chevrolet Corvette is expected to happen sometime later this year. There’s been so much written, rumored, and in some cases, confirmed, about the mid-engined C8. But generally speaking, GM has done a very good job of keeping the lid on leaks. Spy shots are revealing only to a certain extent. 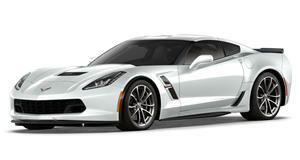 But what about the current C7 Corvette? We previously learned Chevrolet dealers across the US have too many on their lots. That’s partially what happens when an automaker builds more of a certain vehicle than its dealerships can sell. To help resolve this situation, Cars Direct has learned that Chevy is now offering existing Corvette owners a $3,000 loyalty discount to buy a new one. Valid through the end of this month, all you have to do is show proof that you either own or are currently leasing a Corvette. Heck, you could be the owner of a 1955 C1 and still be eligible. We doubt they had leasing back then. Oddly enough, Chevrolet is not advertising this incentive, instead referring to it as a "private offer” in dealership incentive bulletins. In yet another sign of the desperation to sell C7s, this $3k incentive can also be applied to the Z06, which hasn’t always been included in deals like this. The ZR1, however, does not appear to be included. Customers can also combine this discount with other existing offers for both buying and leasing. It’s even transferrable to family members and no trade-in is required. You can keep that C1. 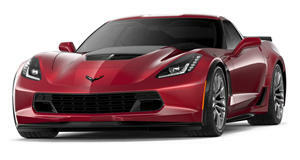 For this month, the national lease on a 2019 Corvette LT is $599 for 39 months with $5,789 due at signing and a 10,000-mile yearly limit. Combined, that’s $714 per month, but when you factor in the loyalty discount it drops to $671. 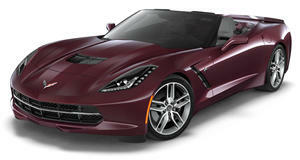 Generally speaking, C7 lease deals are currently better than buying but this could vary somewhat based on your region. We expect to see more C7 incentives like this one throughout the spring and summer for two reasons: sell off some of that dealership overstock and to help prevent potential Corvette buyers from going elsewhere for their sports car fun.